Twenty years ago electrophysiologist Nassir Marrouche, MD, began working to improve the outcomes of catheter ablation for atrial fibrillation. For the past 12 years, his research has homed in on structural changes in the atrium and how they influence the prognosis of atrial fibrillation and impact co-morbidities such as heart failure. As the founder and executive director of the Comprehensive Arrhythmia Research and Management Center (CARMA) at the University of Utah in Salt Lake City, he has spearheaded initiatives to use 3D MRI to look at tissue structure in patients undergoing catheter ablation for AF, with the goal of developing individual treatment strategies that improve outcomes. 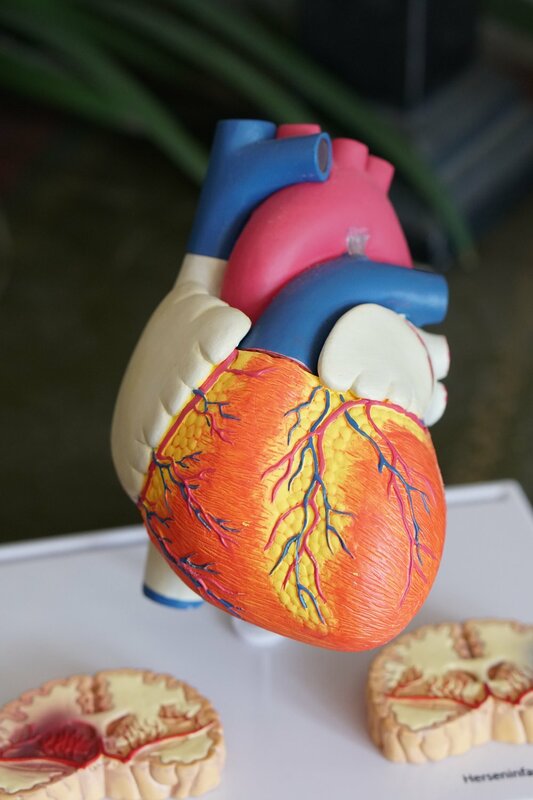 His research looks at how both patient selection and the treatments themselves could be tailored to the quality of heart tissue in each patient, that is, the presence and extent of scar or fibrosis in the atrium or the ventricle. Marrouche was a lead investigator on the DECAAF trial, which sought to look at the impact of atrial fibrosis on outcomes after AF ablation. Published in 2014, DECAAF was a prospective study at 15 centers in the US, Europe and Australia. It enrolled 329 AF patients (including paroxysmal and non-paroxysmal AF) undergoing a first ablation procedure. Images of each patient’s heart were taken up to 30 days before the procedure (by delayed enhancement MRI) and the extent of fibrosis in each patient was quantified by a core lab blinded to the participating center, ablation approach and outcome. 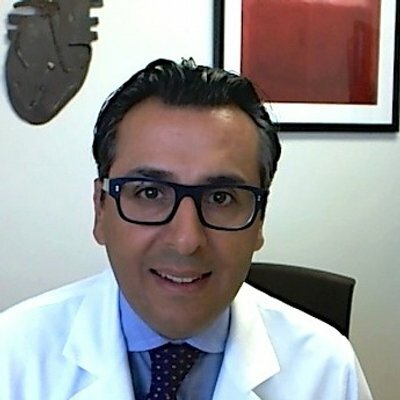 As a preclinical and clinical researcher, Marrouche sees many new atrial fibrillation technologies; he consults for Abbott Laboratories Inc., Medtronic plc, Vytronus Inc., Johnson & Johnson’s Biosense Webster, Boston Scientific Corp., GE Health Care and Siemens AG, and holds equity in Marrek Inc., a new company developing software to enable the MRI-based guidance of catheter ablation for atrial fibrillation. Marrouche says the spate of innovation in atrial fibrillation is not slowing down, because the problems with AF recurrence haven’t yet been solved. But most companies, he says, “are missing the point. You need to make this procedure objective.” MedTech Strategist recently spoke with this thought-leader in catheter ablation for atrial fibrillation to learn what, in his opinion, needs to change. 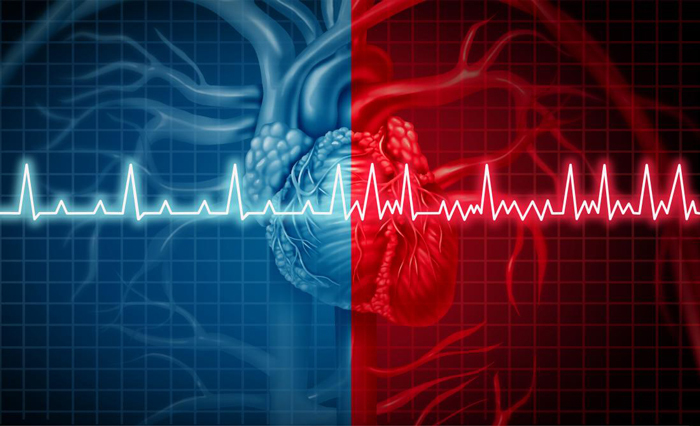 MedTech Strategist: We hear a lot about the high rates of recurrence of atrial fibrillation after a single procedure, which is obviously expensive and not very good for patients either. When you—or let’ s just say physicians in general—are going into an AF ablation procedure, with what kind of certainty can you predict that AF won’t recur? Nassir Marrouche: [After a moment of silence]. You are starting with a loaded question already! I’m leading up to asking you to what extent innovative technology can have an influence on recurrence! Recurrence is the most important question for every physician, except for safety, which is number one. If, as a patient, you go to three different hospitals, they will say that their success rate is such and such and they are talking about recurrence. But how do you define recurrence? That is a topic for a whole article that needs to be written. I have been trying to find a way to deliver ablation lesions that are safe and lower the chance of recurrence for the past 20 years. And that is the challenge for every single new technology we hear about. But none of them, until the One-Shot system came along [first-generation ablation balloon from Medtronic] considered a major issue that we face across the world: the objectivity of this procedure, which continues to be operator dependent. If you go to five different electrophysiologists today, they will give you five different ways of doing AF ablation, and we have been struggling with that as well. So if you were to ask me the top three things I worry about: safety, delivering good lesions to avoid recurrence, and, to make these these procedures widely adopted and standardized—to increase the objectivity of the procedure. How many of these issues can be solved by technology, and how many of them have to do with variations between patients—whether or not they also have scar tissue, heart failure, or other co-morbidities? So by ‘objectivity’ you didn’t necessarily mean standardizing the procedure. You meant having more objective goals for the therapy, or endpoints? Patients aren’t all the same, and that is a challenge. Objectivity of the procedure includes a personalized approach to this patient. That means that I want to go in not only based on heart failure, which is an expression of symptoms—shortness of breath, a failing ventricle—which has been known to improve after ablation. But if the atria and ventricle are too scarred, the chance of improvement is lower. That isn’t something that we took into consideration until we started studying it at CARMA. We could take these criteria today and characterize them to create the concept of an objective procedure. You can see from our work and because of the DECAAF study that many people have scarring in the atrium, acquired over a life time or because of disease, and the amount of scarring or fibrotic tissue impacts the outcome. So going to a patient with a lot of scar and doing the same thing as you would to a patient with a healthy heart probably wouldn’t have the same odds of success because you haven’t taken into account how different tissues react differently to the therapy. But people are starting do that with MRI now. We are getting to a more personalized approach. You would personalize the ablation strategies based on where the scar tissue is? Even before I get to the procedure, I could say that I should not ablate this particular heart because of the amount of scarring in the atrium and ventricle based on the MRI image. In that case, I would want to work with your symptoms in a way that is not invasive. On the other hand, if I go into the procedure knowing this information, and again, that’s what I mean by objectivity, and if I had a tool that could deal with this tissue, based on its structure and identity, rather than just ’yes’ or ‘no’, if I could integrate this structural information into a system that would change energy levels when it sees these changes instead of ‘one shot fits all’, then we would be way ahead. Then anyone anywhere could do this objectively without relying on the operator’s level of experience. It is all based on information that you could standardize. Do you think cardiac ablation device companies do, or are able to do, within the constraints of timing and budgets, the kinds of clinical trials that demonstrate the value of their technologies for treating AF? Or let me put it this way: does anything need to change in the way clinical trials are being done here? We need to define outcomes differently. The FDA has been asking for endpoints along the “30 second rule.” [The FDA defines AF elimination as freedom from atrial flutter or atrial tachycardia episodes of 30 seconds or longer as detected by Holter or event recorder.] How should we define outcomes in ways other than recurrence? For tools, we need to start looking at MRI scans and lesion formation. For example, if we want to test five different catheters, the FDA mandates that we do a study and look at safety and recurrence at three months. What is safety? Did the patient die, have a stroke, or is he bleeding? But if you do an MRI scan within three months or even two weeks of the procedure, which is the way it should be designed, you could see whether the catheter did the one thing it was designed to do: deliver a lesion that ablates tissue. That is the endpoint of the catheter. If you have a threshold by which the catheter is measured irrespective of scar, fibrosis, or whatever in this patient, you don’t have a standardized endpoint and you cannot make the procedure more objective. Outcome is a different measure, and we will never have an objective measurement using outcome. I am talking to the FDA about this. Plus you could obviously look at other measures. Where is the Afib? Could we change the outcomes from the “30-second rule” to lowering the AF burden? I haven’t seen much more written about the CABANA trial, after the flurry of press at the release of the original results last May. What is your takeaway from the trial? Unfortunately, there was a lot of crossover in CABANA, so we lost a lot of potential and power in the data. In the drug arm, 30% of patients crossed over to the ablation arm, so it was difficult to analyze from an intention to treat standpoint. It depends on who you ask. It was a neutral study, but with a lot of positive data. If you look at the per-protocol treatment, CABANA showed that ablation did save lives and improve outcomes. And what was interesting is that if you look at the heart failure population in CABANA, they did as well as CASTLE-AF. It clearly made a difference in that population. But in the trial clinicians used ablation tools from the past 10 years and meanwhile catheters have been changing. Can you imagine how messy that data was—different catheters, different kinds of energy delivery, different operators, different labs? The only way to do a study like this is to have the lesion created in an objective way, and Vytronus is the only technology that can offer objectivity today. Then you could detail the lesion sets in patients based on tissue characterization. You would know for sure that it was objective and the same in any two labs in the world. What is the most important thing you’ve learned from your work in characterizing heart tissue in patients with AF? We need to personalize this procedure. We can’t ablate everybody. But we are missing a lot of patients who are waiting and taking drugs and meanwhile their hearts are scarring. We need to personalize each procedure so we will be able to intervene before it’s too late.